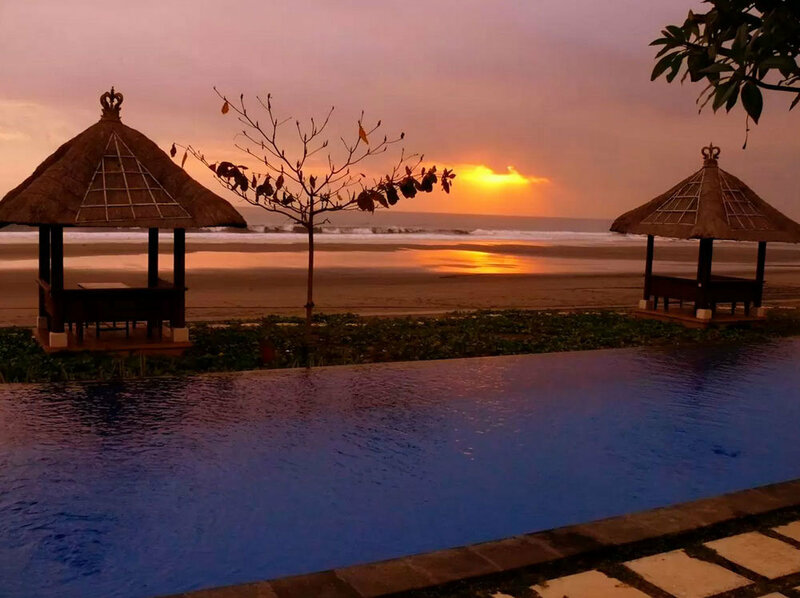 Tired of Seminyak, Kuta, and Ubud? Even Canggu, Candidasa, Karangasem and Lovina no longer excite you? 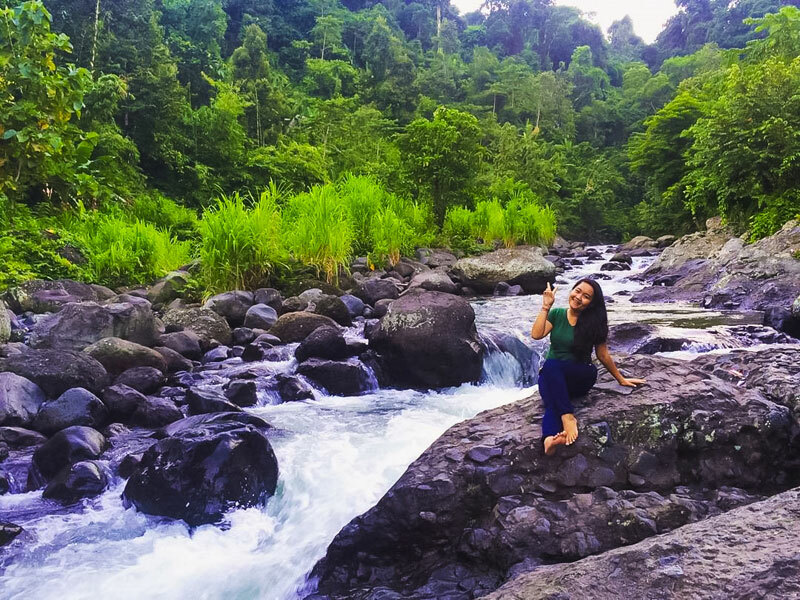 If you have travelled to almost everywhere in Bali, and want to up your game and venture to places less travelled, West Bali can be your next adventure. And journeying west doesn’t mean you have to sacrifice the five-star flair, good food, exotic beaches or the search for a spiritual self. 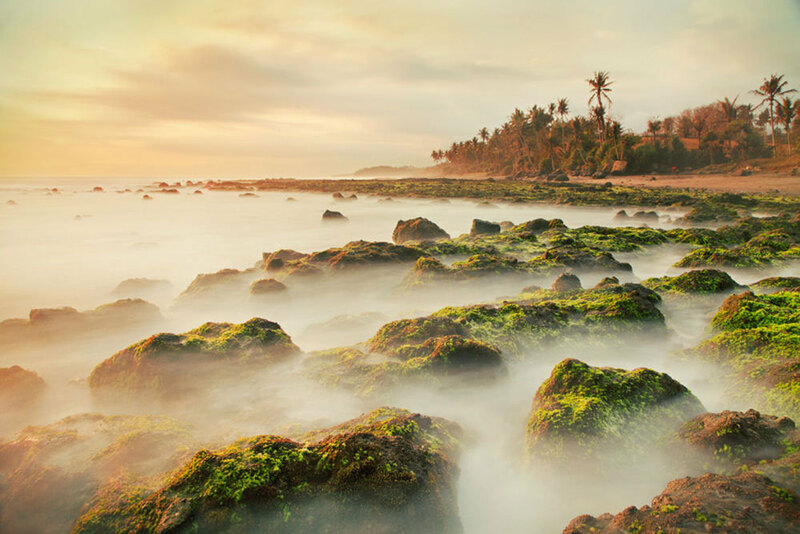 From deluxe places to stay, abounding water activities, restaurants with delicious local cuisine, to peculiar sightseeings, West Bali has it all. And the best part? You don’t have to share it with throngs of other tourists. 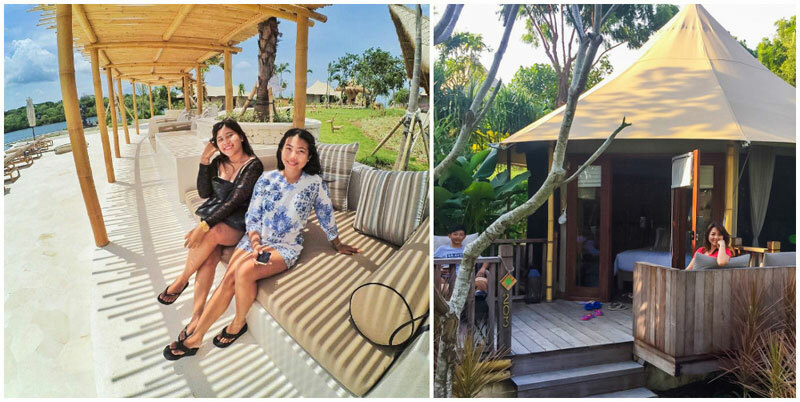 Everything you thought you knew about West Bali will change after trying out the glamping experience at Menjangan Dynasty Resort. 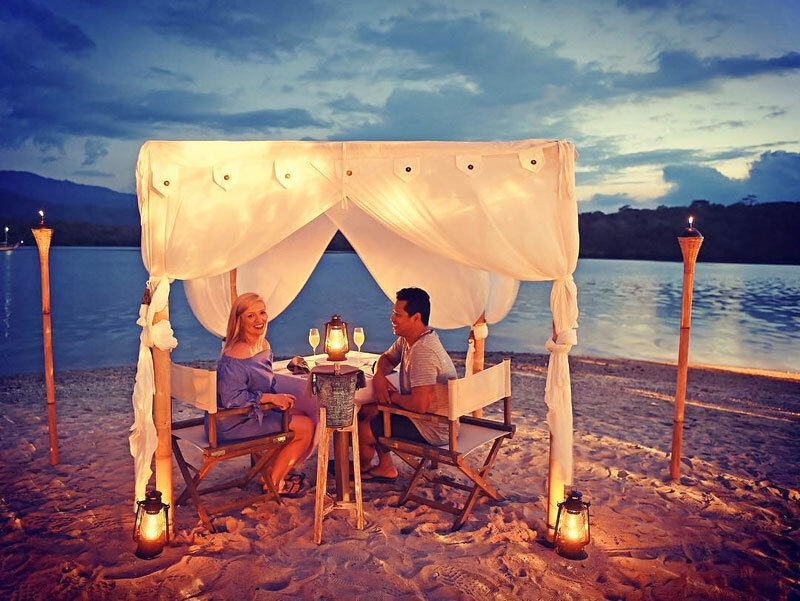 Located on a quiet peninsula, the resort is one of the pioneers of new form of travel called glamping (glamorous camping) in Bali, a global trend that offers outdoor enthusiasts that intimate experience with nature without sacrificing on luxury and comfort. Glamping takes camping to a whole new level. Forget about setting up the fire by yourself – everything is all-inclusive! Beach glamp shouldn’t only be for backpackers, that’s why at Menjangan Dynasty Resort you can find 24 beach glamps with large decks and loungers included. If you want to get a better view of the bluish serene surroundings, you can rent the Cliff Tent Villas. Each Cliff Tent Villa was made in South Africa with double-skinned canvas, and includes air-conditioning and a private pool. 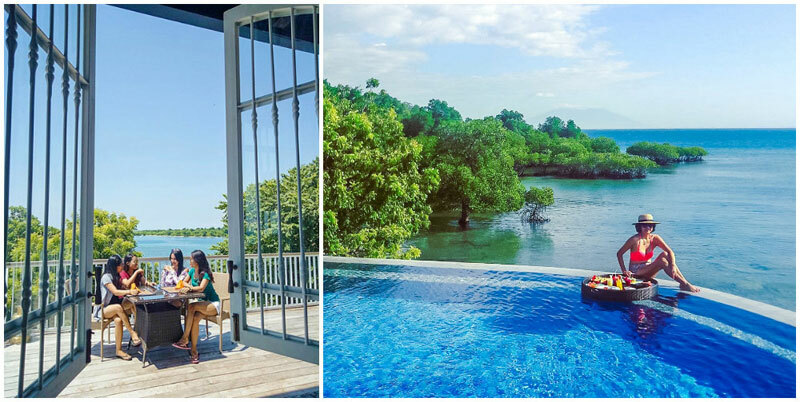 With breathtaking surroundings, safari ambience, high-standard comfort and tons of activities to do, how can you miss out on Menjangan Dynasty Resort? Rate: From USD $230 nett per night (approximately Rp. 3,070,000). 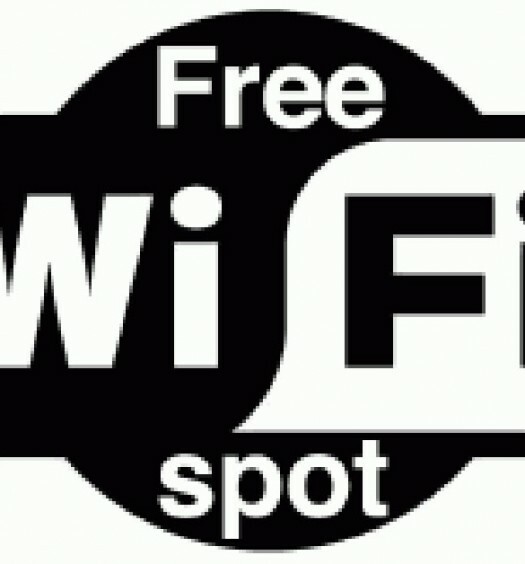 Special rates of Rp. 2,500,000 provided for domestic guests, KITAS and KIMS Holder. Generally known only among locals, Musi Village (otherwise known as Desa Musi) is a refreshing escape for those searching for an authentic experience in a simple Balinese village. 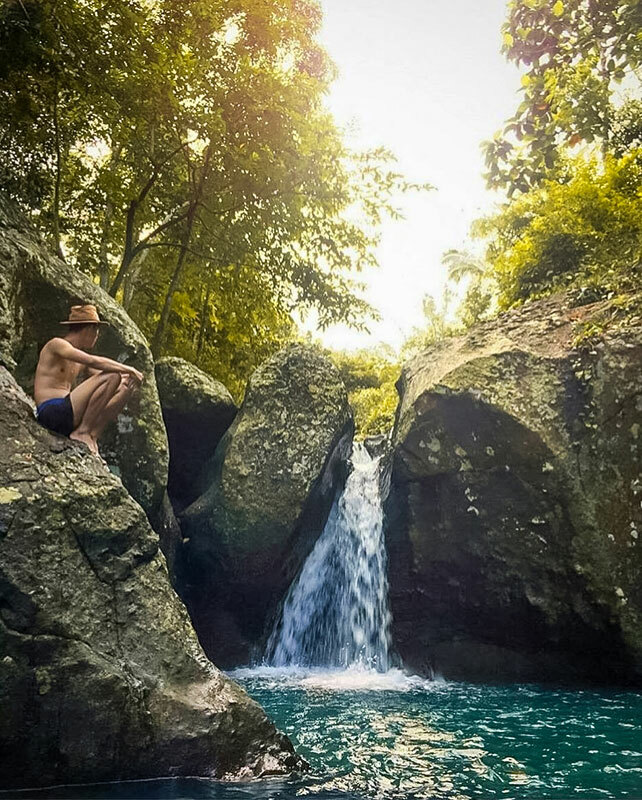 There, you’ll discover its secret – a cliff area where a waterfall crashes powerfully into a natural pool. As this waterfall is very hidden, the best way to reach this place is to ask the local villagers for directions when you reach Musi Village. It’s a great opportunity to interact with the locals too! At sunset, you can take a walk in the village, hunt for the scattered Hindu temples and observe the simple daily life of the villagers. Coordinates of waterfall is estimated to be near here. 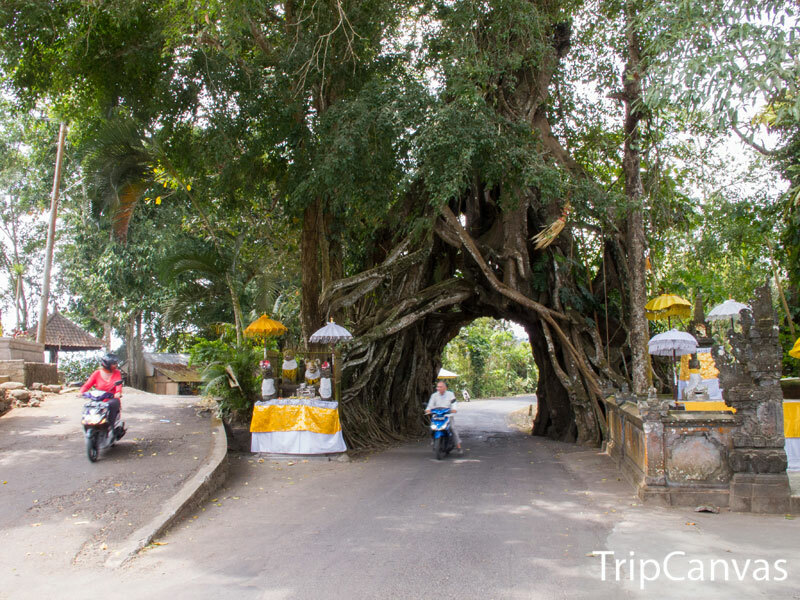 Do check with the locals for directions when you reach Musi Village. 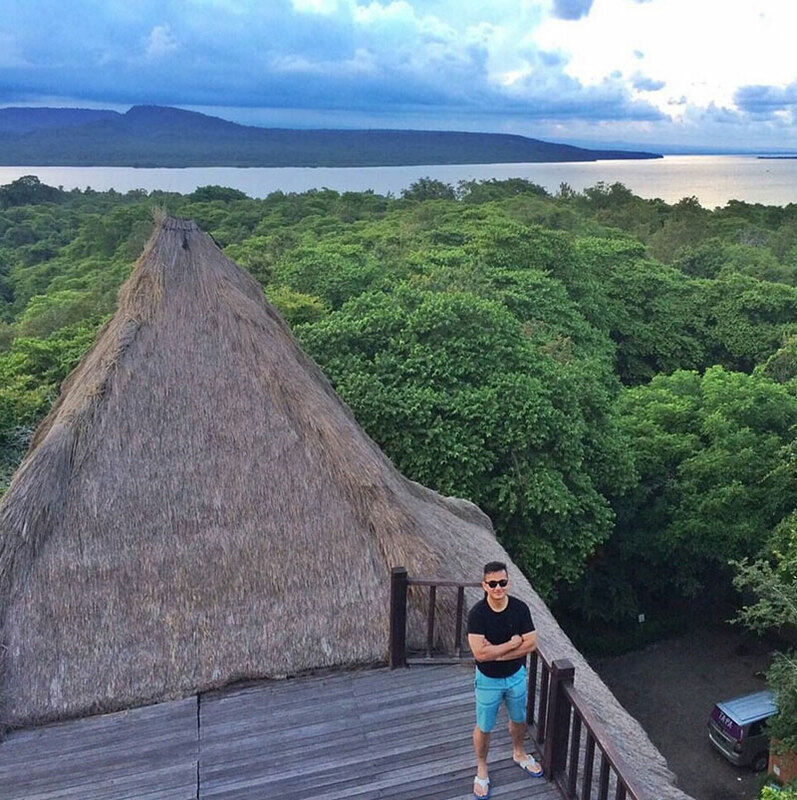 The inhabitants of Yehembang Kangin Village in West Bali have created a touristic spot – Green Cliff. 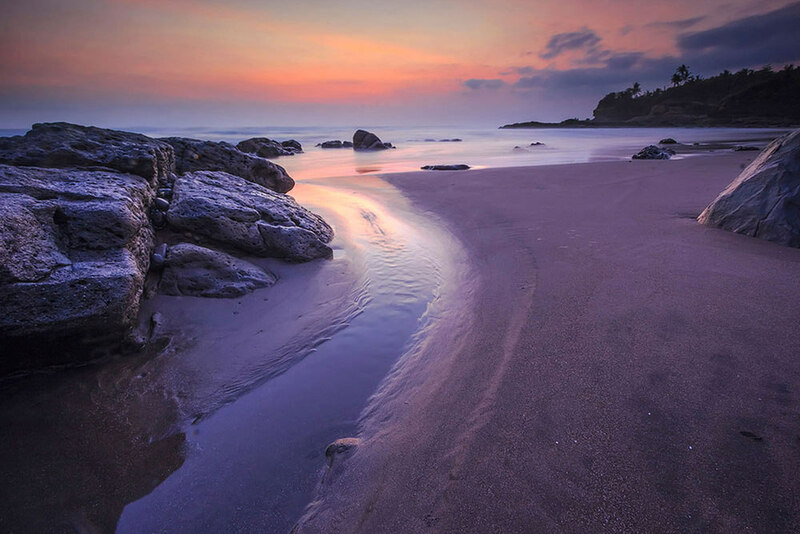 With the surrounding greenery and scenic cliffs, there’s little wonder why it’s named so. Once at the top, you will be rewarded with the wide panorama of the Yeh cliff and the sounds of the river at the bottom. 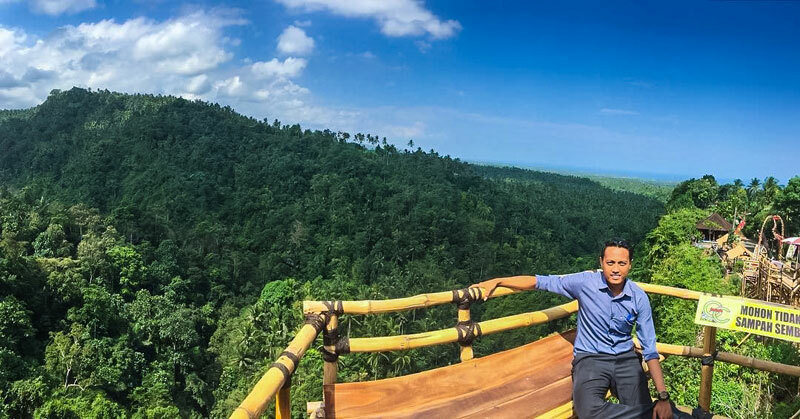 Built at the edge of the cliff, the construction is made out of only bamboo (of 60 metres long and 10 metres high) to conserve the natural environment. A path to the wonders of nature, the Green Cliff promises an intimate encounter with the sea of green panorama. That’s not to mention the numerous selfies you can take while enjoying the view! 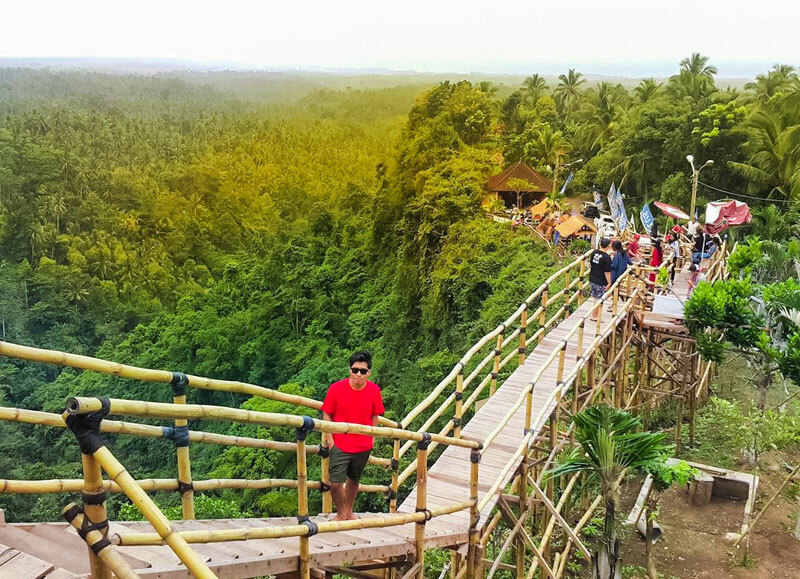 Located in a popular area near Rambut Siwi temple, Green Cliff is easy to reach, so drop by if you are driving around in West Bali! Address: Near Rambut Siwi temple. Banjar Bangli, Yehembang Kangin Village, Medoyo Subdistrict, Jembrana – Bali District. 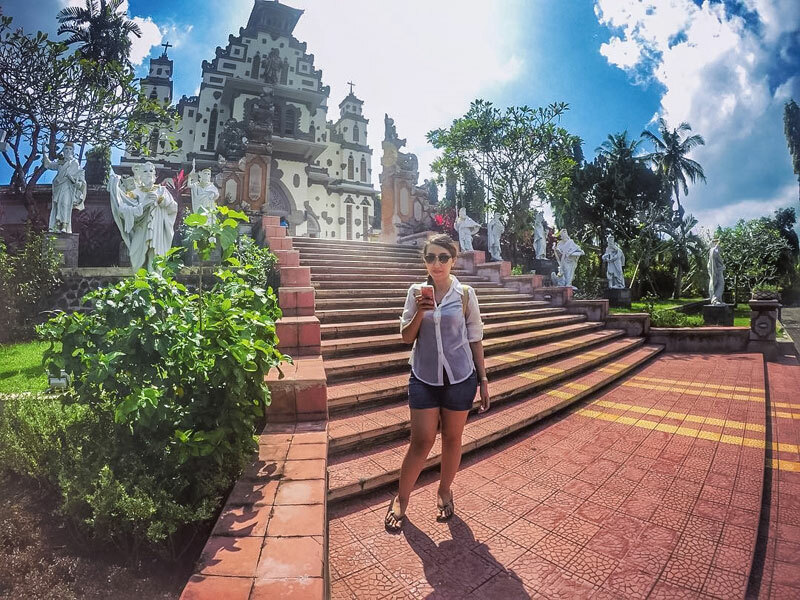 Bali is an island where the unexpected usually occurs, and where you can chance upon creative and random sights. Such as an abandoned plane, for example. Although it’s not a new phenomenon to the locals, several abandoned aircrafts have been spotted on the island. And one of them, a private property just like the others, can be found in the middle of a big field in Jembrana regency in West Bali. 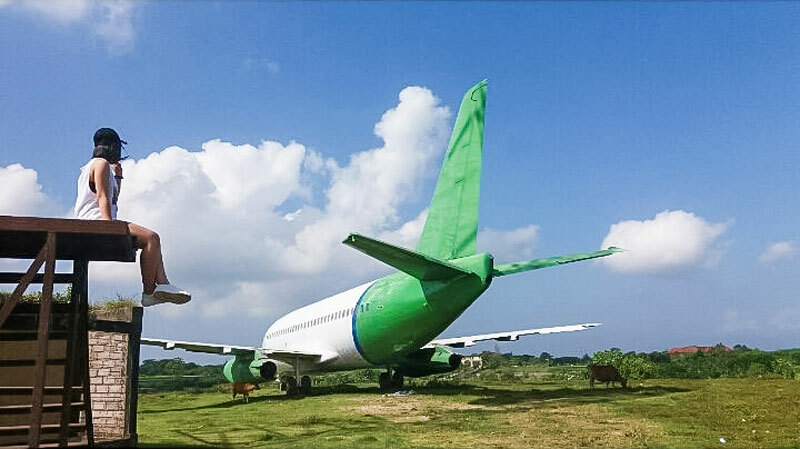 We’ve heard that the original intention of the owner of this Boeing 737 was to spectacularly transform it into a library, restaurant or café, none of which had actually happened. 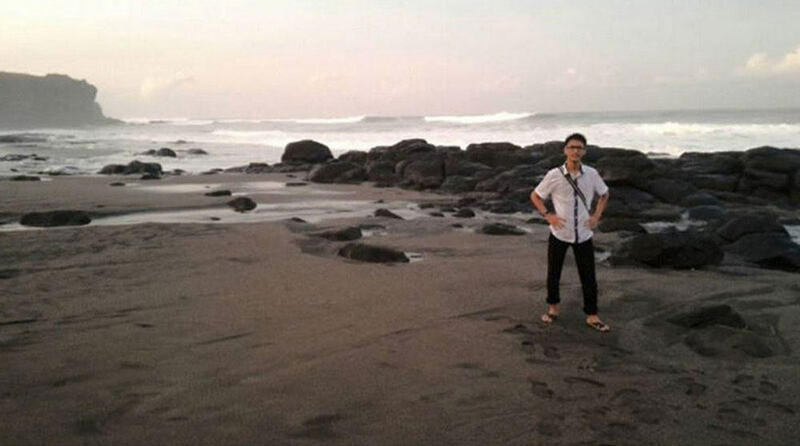 Other stories say that the aircraft was supposed to be turned into a villa alongside others in Jembrana. Well, even with no realised plans, the aircraft has become an attraction for travellers. 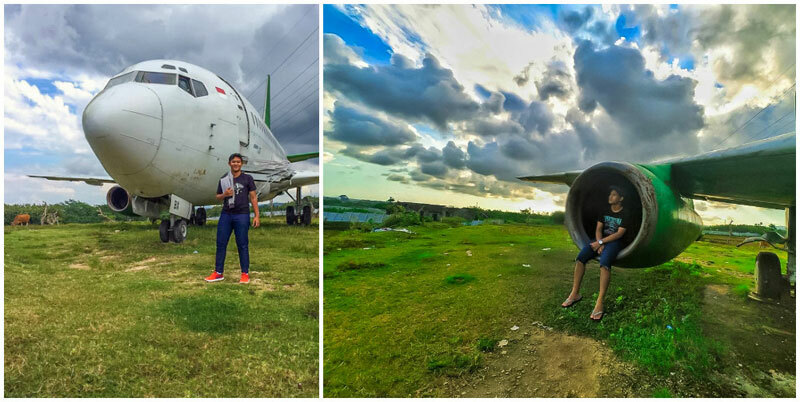 This Boeing 737 seems to be the least visited, when compared to the other abandoned airplanes in Bali – such as those in South Kuta or perhaps the most famous one on the rooftop of Gate 88 Mall. Why not drop by for a unique photo session here? 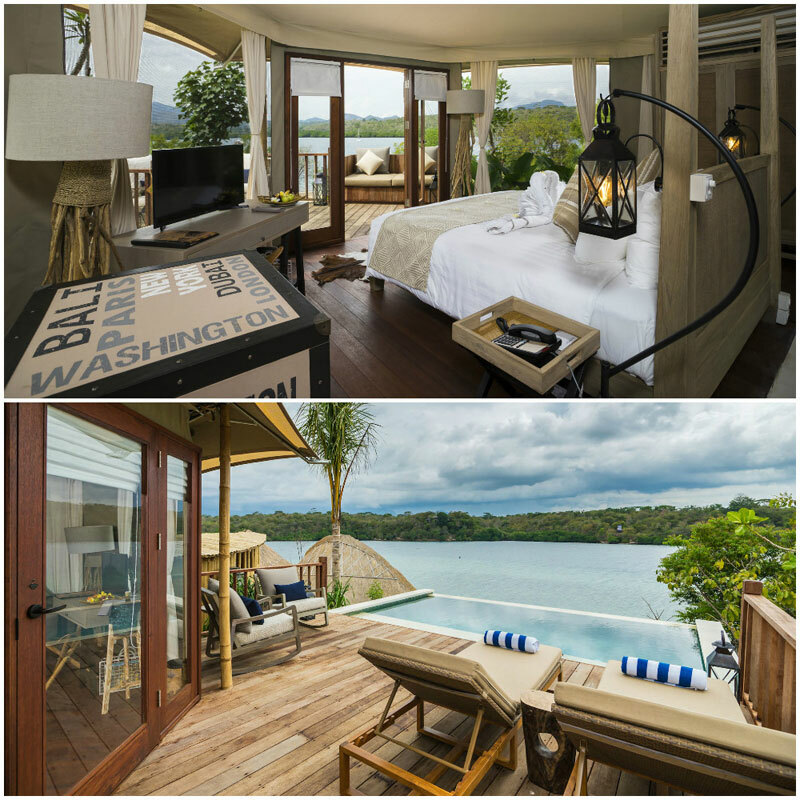 Besides the safari-style tented rooms and villas which promise an excellent alternative in architectural style and five-star flair (in other words, glamping), Menjangan Dynasty Resort is known for its world class diving location, designed to blend in with the environment and provide you with exciting natural encounters. 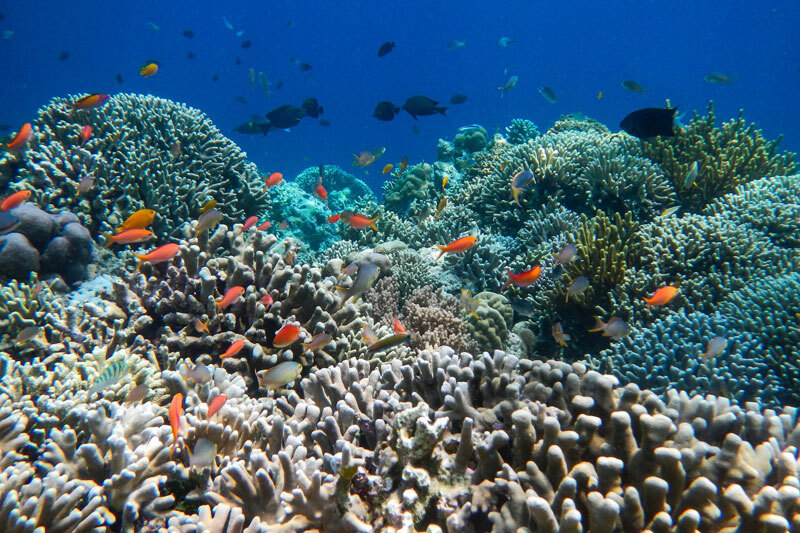 The inhabited island of Menjangan hosting some of Bali’s best coral reefs and spectacular marine life, famous for its lack of currents, can be reached if you opt for snorkelling or diving trips which take about 4 to 5 hours. You will get to visit two different sites, and be provided with full equipment, lunch and an English guide. If you are planning to finally get that Scuba Diver Course, the resort provides Pasir Putih Dive & Watersport Centre, operated by Bali Hai Diving Adventures, which offers PADI Scuba Courses from beginner level for up to 2 days, to the ultimate diving lesson – the Divemaster Course that spans 2 to 4 weeks. 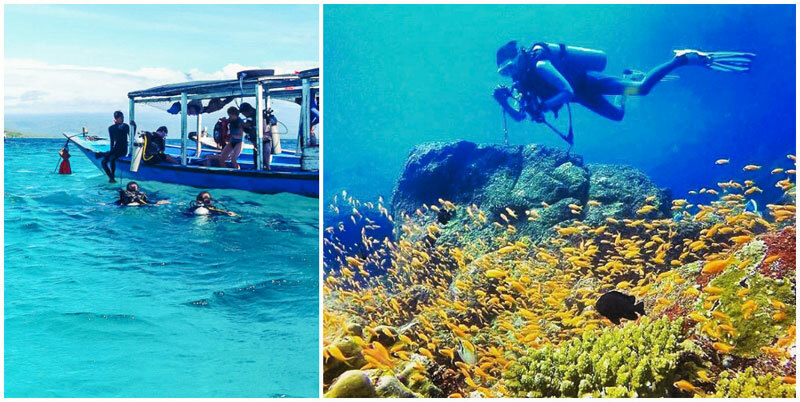 If you are really serious of upgrading your diving skills, a few weeks in Menjangan doesn’t sound that bad, does it? 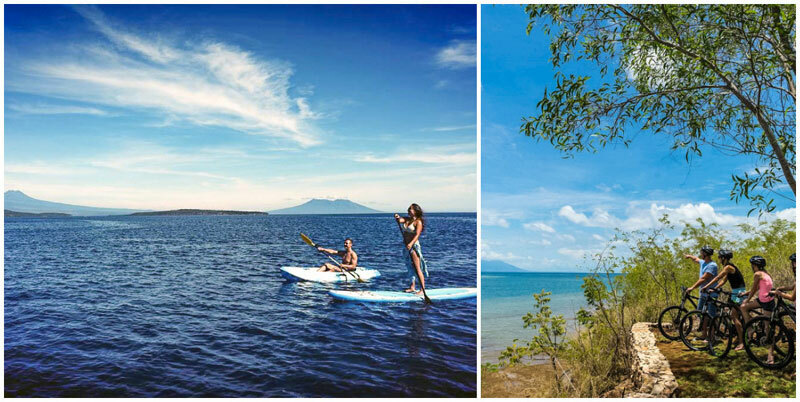 If you want to try something different, Stand Up Paddle (SUP) is the newest hype on the island – rent it out and paddle along the mangrove forests. 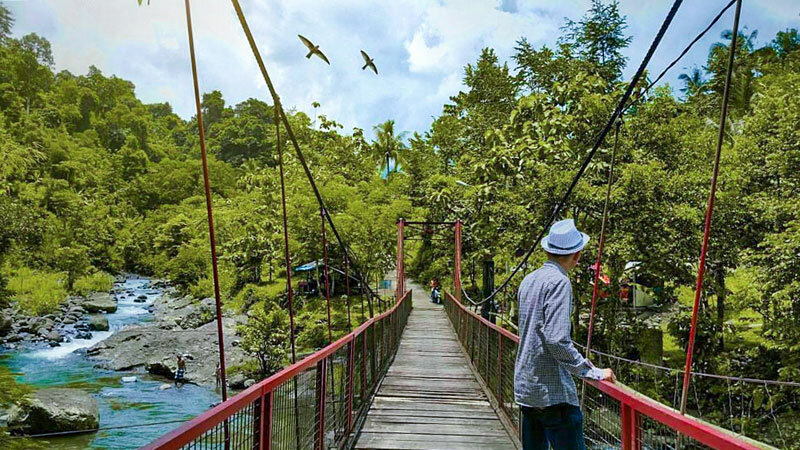 You can also try some land activities such as Rainforest Trekking for about 8 hours, which will take you straight in the heart of the jungle. 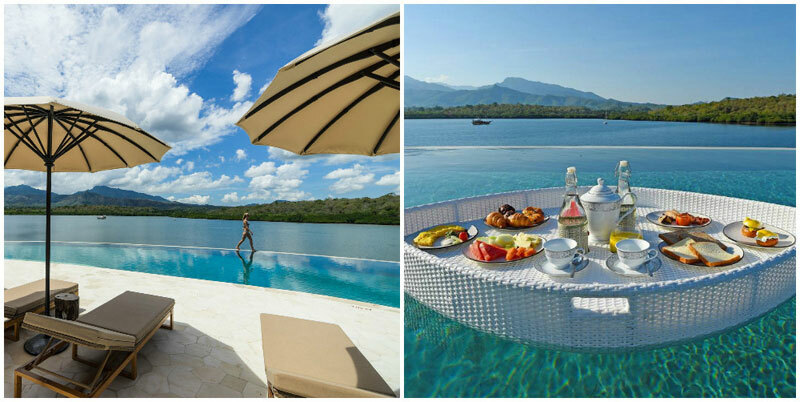 The resort offers many other water and land activities, so you won’t ever be bored in Northwest Bali! Enter the promo code TRIPCANVAS when making your reservations to enjoy special promotions! It might be strange to suddenly find a church so monumental like the Palasari Church in the island of gods, but not in West Bali! Although in a predominantly Hindu community, in Palasari village, the two religions live together peacefully, merged in this beautiful architectural masterpiece. The first Catholic missionary arrived in Bali in 1936 and a number of people in a village near Denpasar converted to Catholicism. In 1940, a priest, Father Simon Buis, requested the Dutch administration in Bali to allow him to build his own congregation. As it was not possible to build a church near the capital, the officials offered him some land in the forest of Pangkung Senate in Jembrana. In 1940, he moved to the village that now is called Palasari, named after the nutmeg trees surrounding the village at that time (“pala” means nutmeg and “sari” means essence). 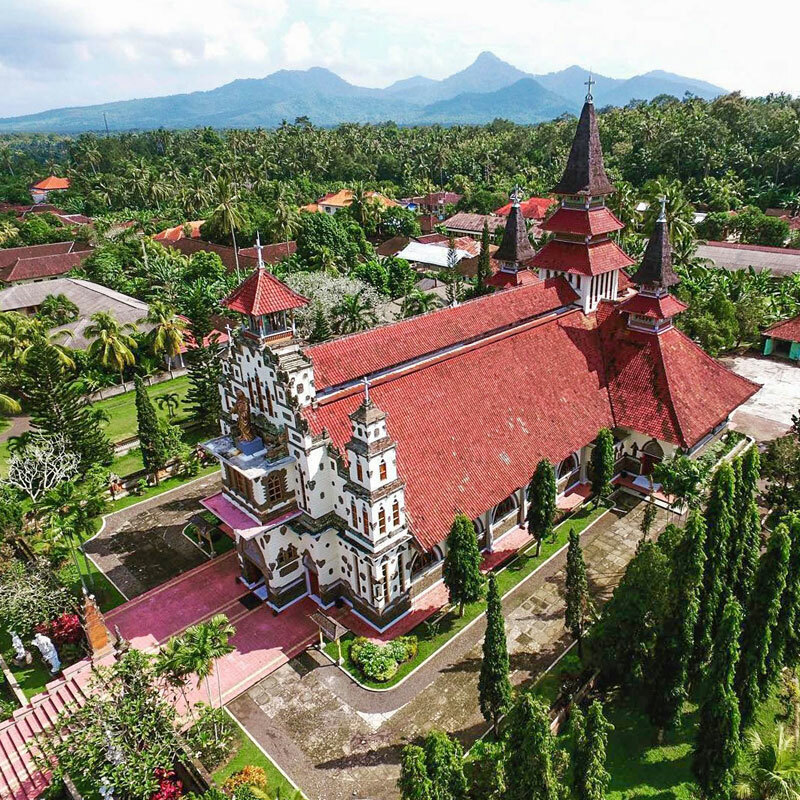 Designed by Father Ignatius A.M. de Vriese, the church was built between 1953 and 1958, with a blend of gothic and Balinese traditional architecture. 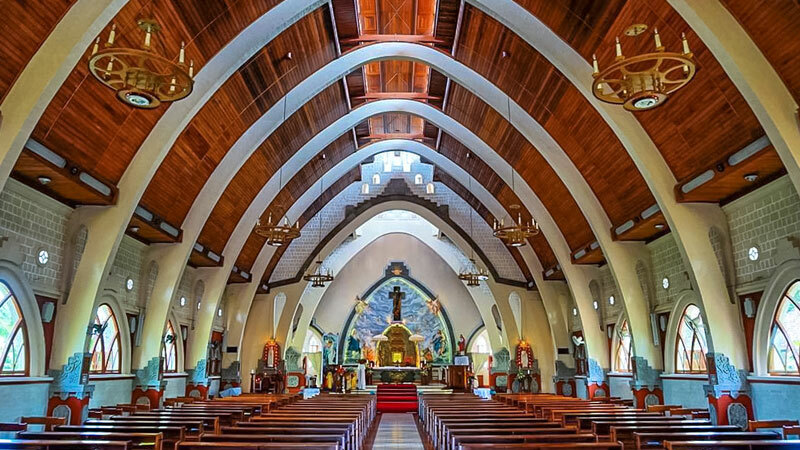 Today, it holds the name of Paroki Hati Kudus Yesus (which means The Jesus Sacred Heart Congregation) and has over 1,400 congregants – the largest number of Catholics compared to other churches in Bali. 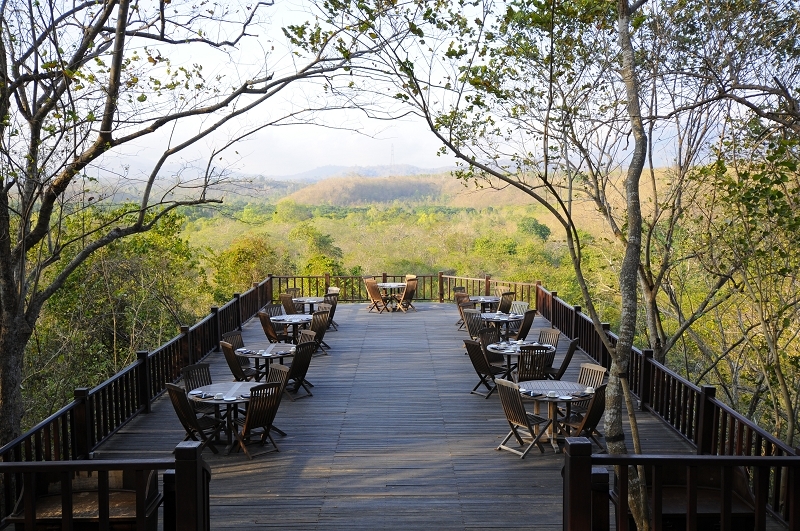 In the midst of wild nature, you’ll find a large resort hidden in the jungle of West Bali National Park. 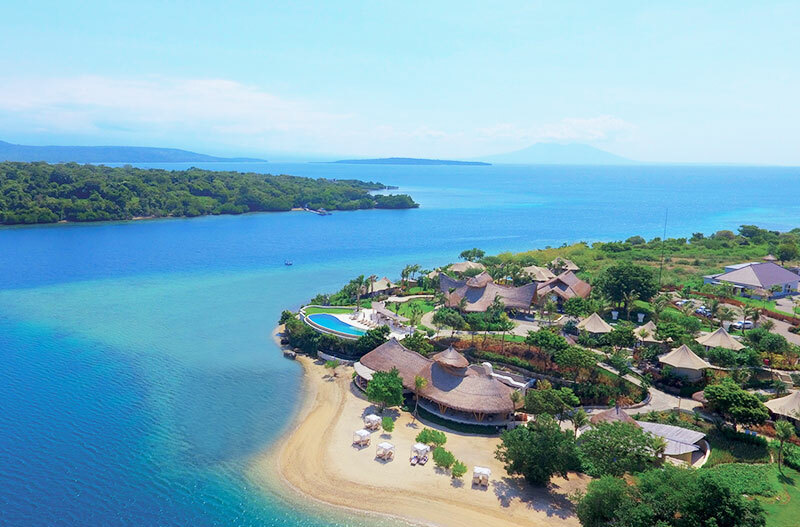 Nestled by the beach, the Plataran Menjangan Resort and Spa, an immense Mediterranean-style resort boasts of an iconic three-storey-high Octagon Ocean Club that overlooks the ocean and Menjangan Island, as far as the eyes can see. 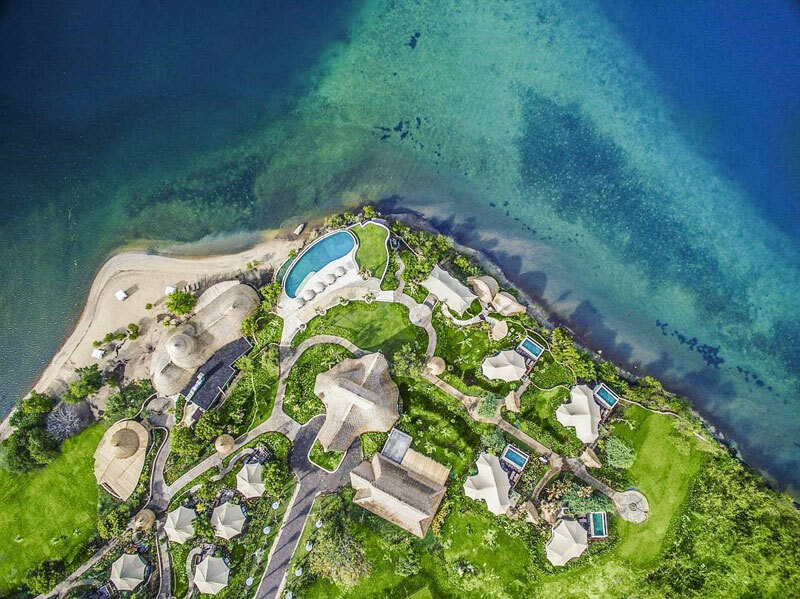 As the name suggests, the club is shaped like an octagon to capture 360-degree views of the national park and the ocean. You can’t miss the 33-metre-long oceanfront infinity pool that fronts the ocean club – the perfect place to chill and enjoy sunset cocktails! 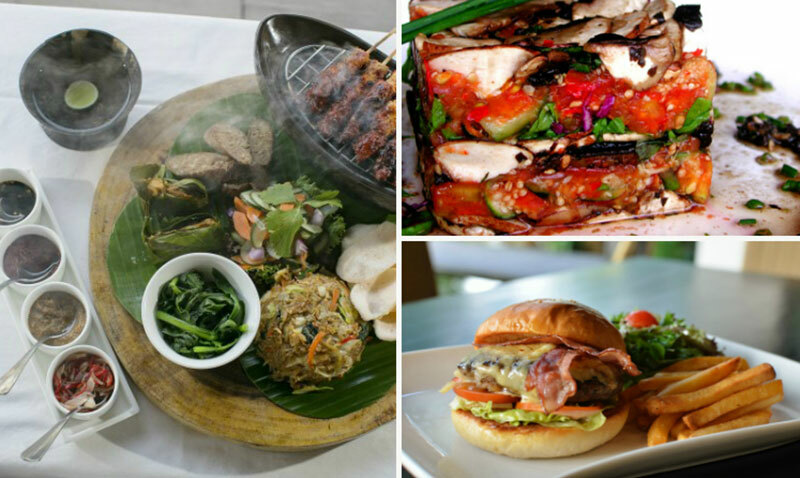 Here, you’ll get a mix of unique dining experience – fresh seafood, Asian and international cuisine with cultural performances – and an encounter with the wild nature of West Bali. 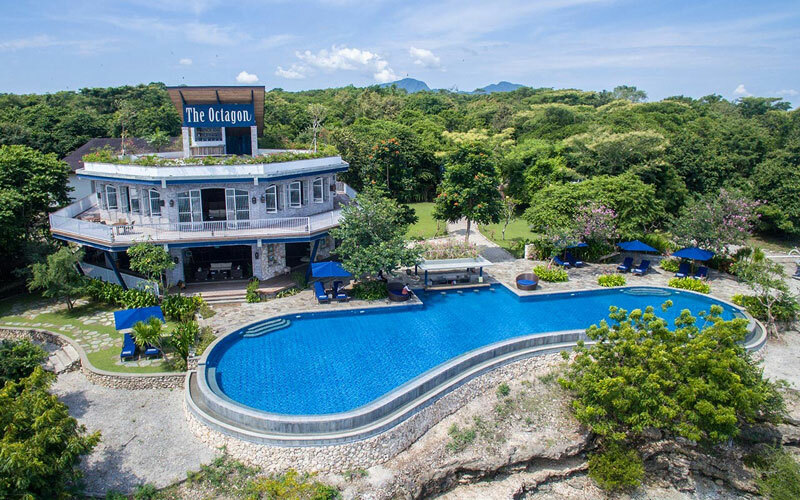 Encompassing a dense biodiversity from mangroves and lowland rain forests, to savannas and seagrass landscapes, as well as deep-sea waters with sandy beaches and coral reefs, you can experience the untouched and preserved ecosystem in a deluxe set-up. If you are here with your partner, you will love the wooden deck, where you can enjoy some privacy. 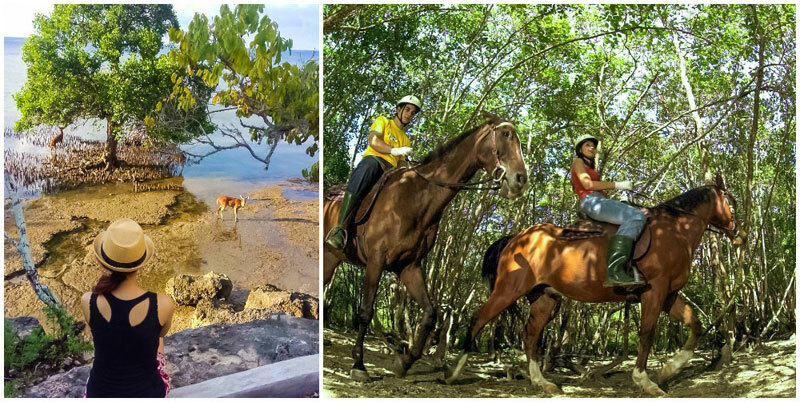 As you walk along the beach, you may even come across the park’s protected deers. Isn’t that just lovely? Are you bored with the infinite beach choices? Why not try out a very local type of venture into the wild? 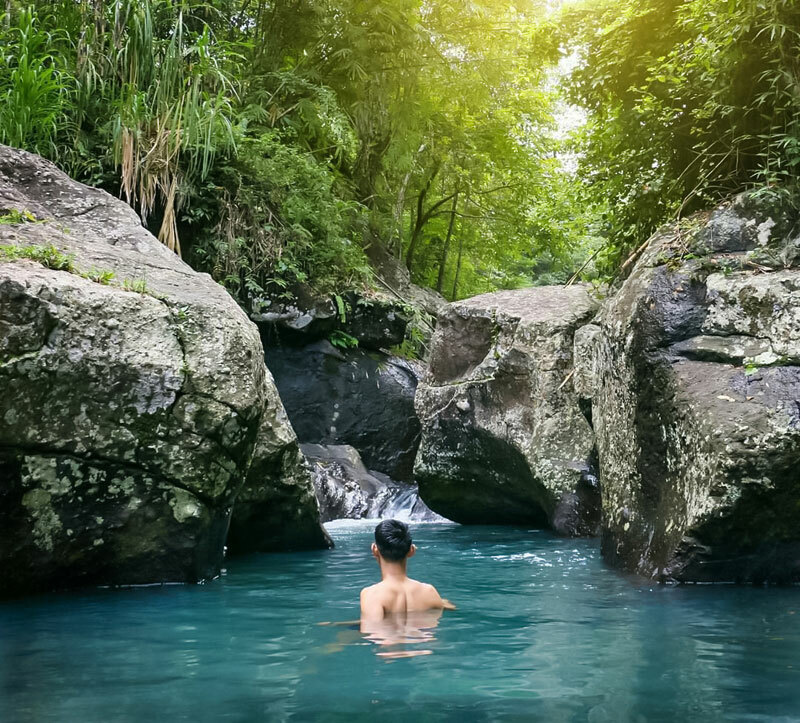 Head to a natural river and be spoiled by the fresh and clear river springs. 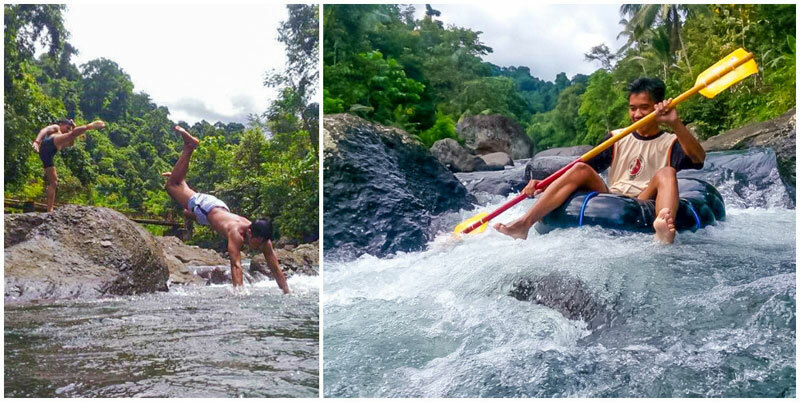 And we all know that in Bali, finding a clean natural river is no easy task. 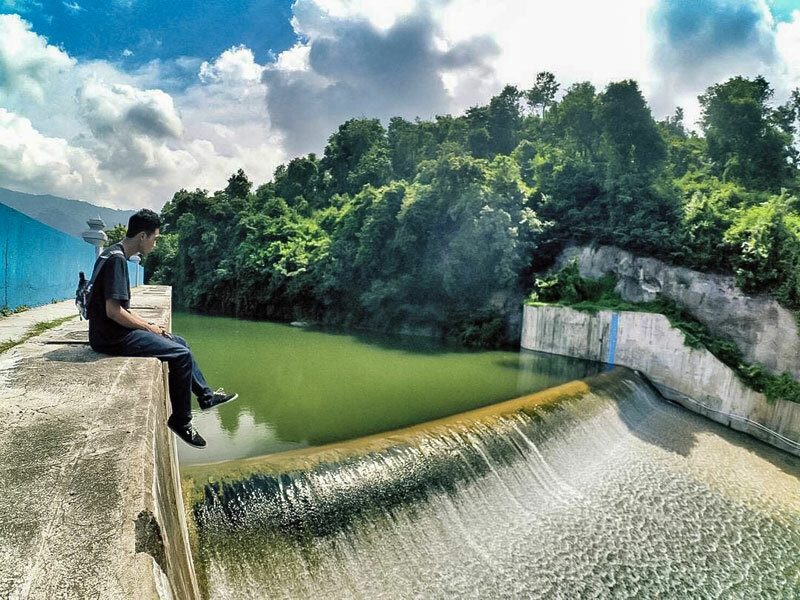 Positioned near the Green Cliff in Jembrana district, and mostly only known among locals, Gelar River is increasingly popular for its crystal clear water, in which residents nearby sometimes bathe in. 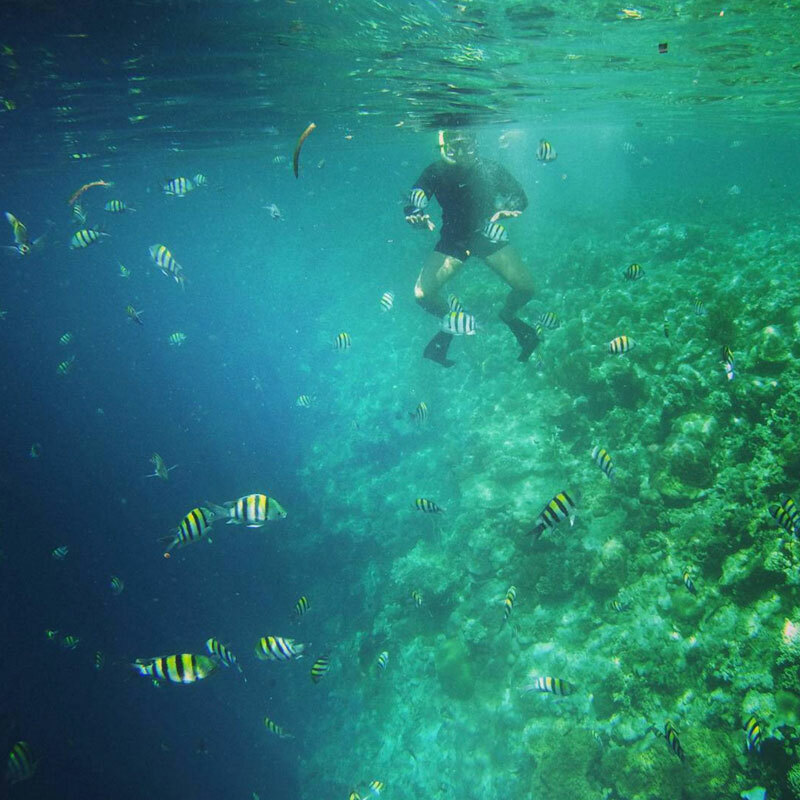 You can simply bring along your snorkelling goggles, swimming rings, paddles, or even just a swimming suit, and get ready to splash into the water for some fun! The river has become the icon of the area for local visitors searching for authentic Balinese entertainment and Instagrammable places. 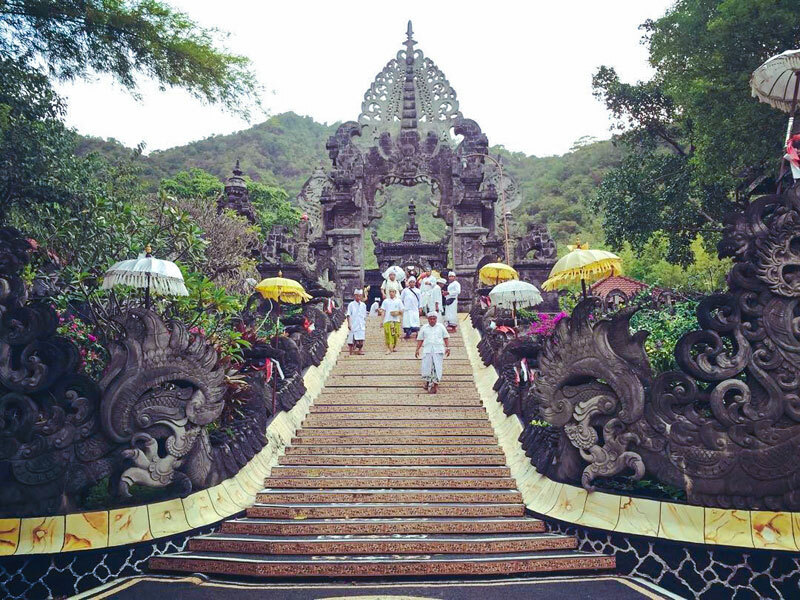 Why not join the crowd and experience what Bali once used to be? 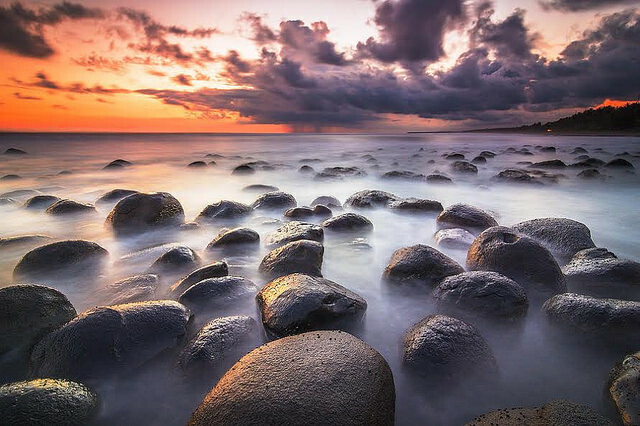 Address: Batu Agung village, Negara Subdistrict, Jembrana – Bali District. The only road to get to this small rocky waterfall is paved with stones – off the beaten path indeed! 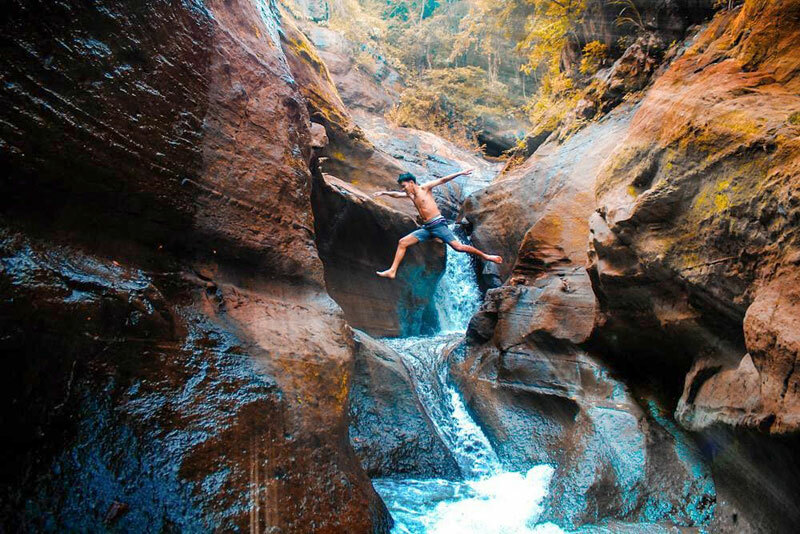 But as the locals promise, the beautiful natural surroundings will make your difficult journey worthwhile, and this can also be a great way to test your adventurous skills. So why not activate your map and head over? 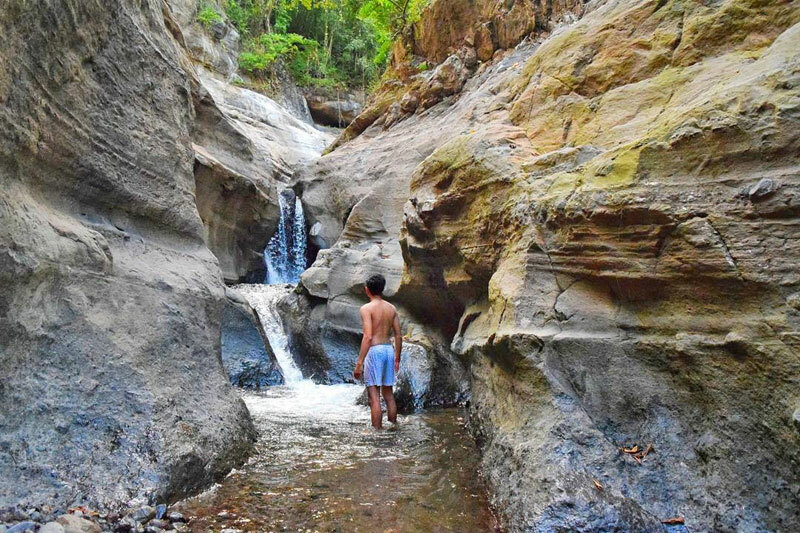 Located in Dewasana, the highlight of the area is a hidden waterfall known among the locals as the Dewasana Waterfall. 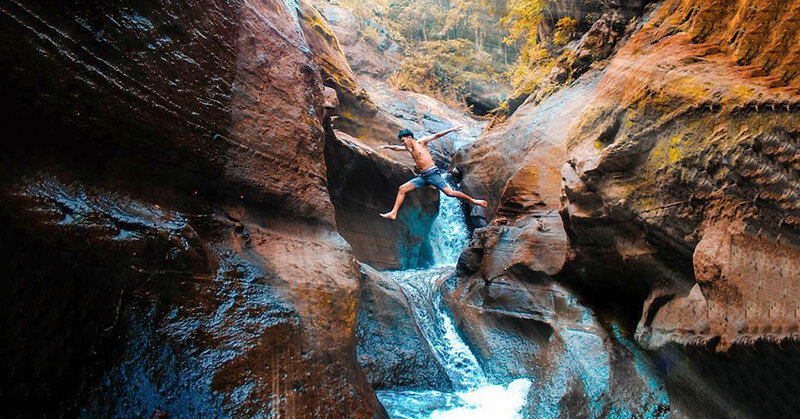 And what’s special about this waterfall is this spot called “batu belah”, which means rocks that are cut into two. 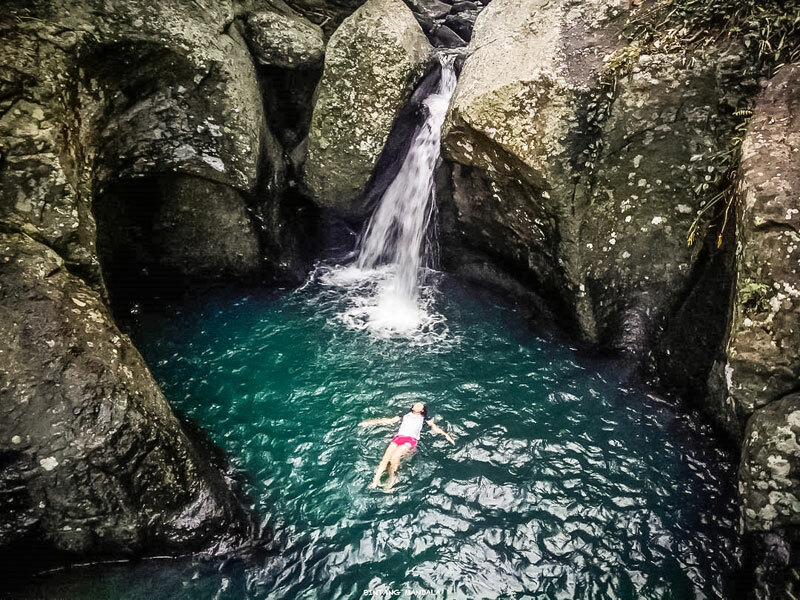 Here, the water flows into a lovely pool where you can freely take a bath and cool yourself in the water that is refreshingly chilly due to the surrounding rocks. Just like in a private lagoon, you can bask in this quiet time and allow yourself to simply unwind in the wonders of nature. 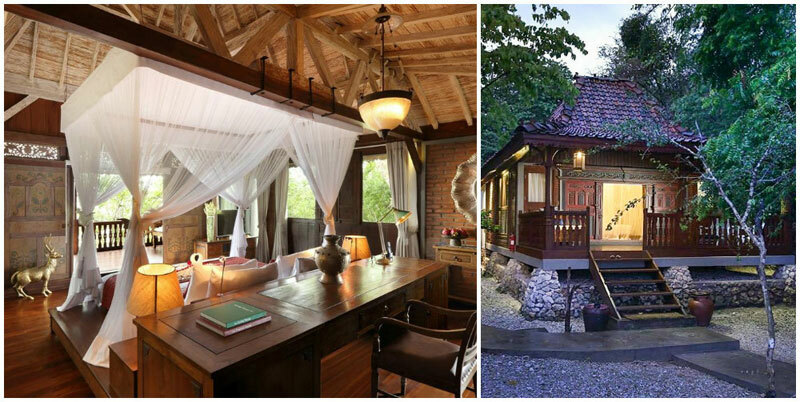 Location: 4km from the centre of Dewasana village, and 200m down the main road, Pendem Subdistrict, Jembrana – Bali. 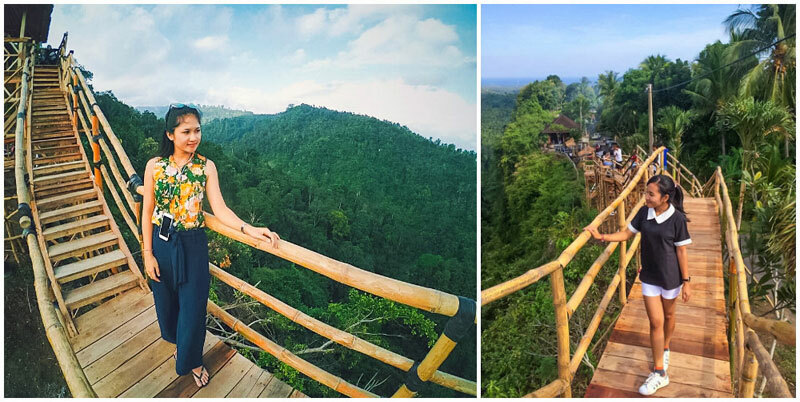 Romance will find you at the Bali Tower Restaurant, located on an open-air platform on a tower that soars over the forest cover. 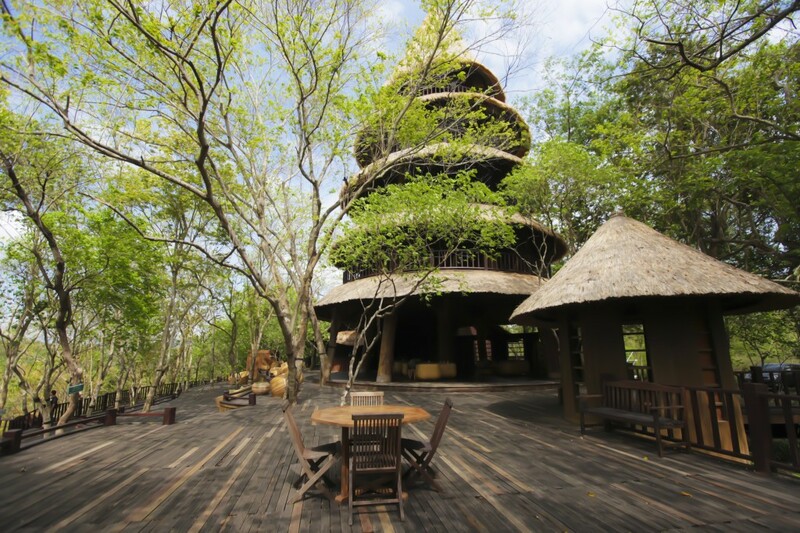 The restaurant is part of the lovely Menjangan resort, which is in the Bali Barat National Park. As this is home to myriad wildlife, some endangered, you may come across deer (otherwise known as menjangan) and various birds along the way. Surrounded by leaves and bathed in sunlight, you can gaze at mountains, valleys and beaches from on high – it will definitely be a Valentine’s Day to remember. Our recommendation? Do try the wagyu beef burger. 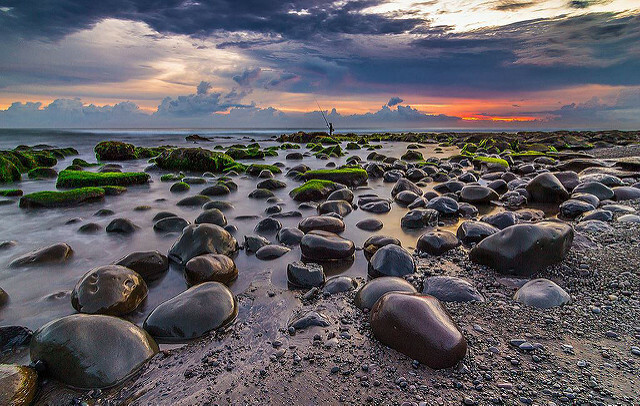 Only visited by a fraction of Bali’s tourists, it boasts superb variety of uncrowded reefs. The most spectacular of which is Pos Dua, famous for having incredible visibility of 40m or more at times. 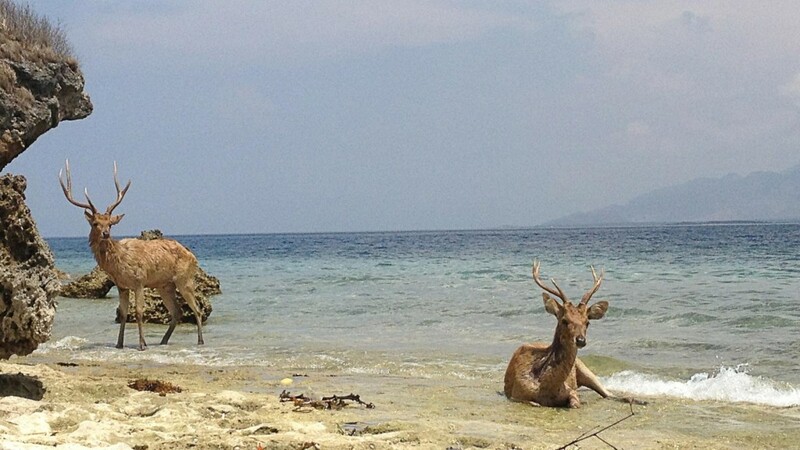 Getting there: Being an uninhabited island and part of the West Bali National Park conservation area, there’s nowhere to stay on Menjangan itself. 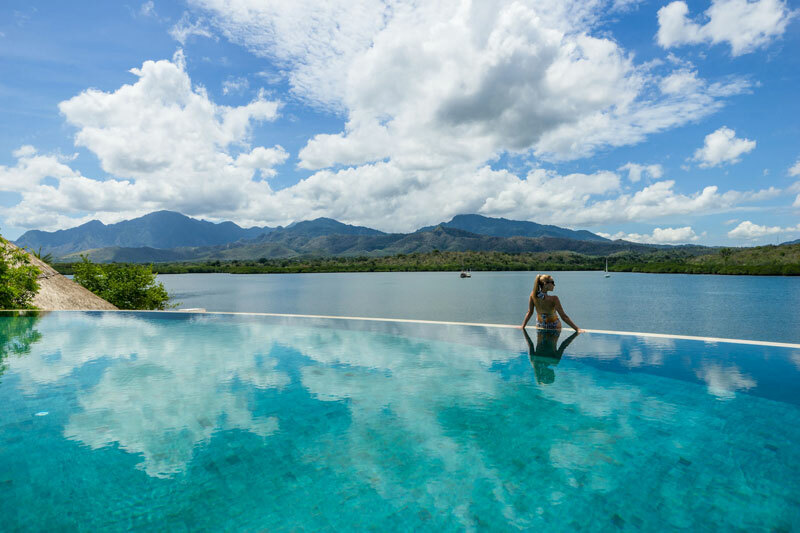 Mid-range and luxury resorts can be found on the northwestern coast of Bali near the West Bali National park and the Pemuteran area. Boats depart from Pemuteran each day for dive and snorkel tours to Menjangan. 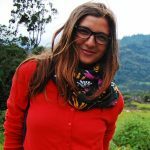 Recommended tour operators: A tour operator is a must for getting out to Menjangan and a snorkel guide is a good idea for less experienced snorkellers. Menjangan Diving and Blue Season come highly recommended. Reaching the snorkel site: Tour boats regularly drop off divers and snorkelers on top of the wall at Pos Dua after the short boat ride from the mainland. 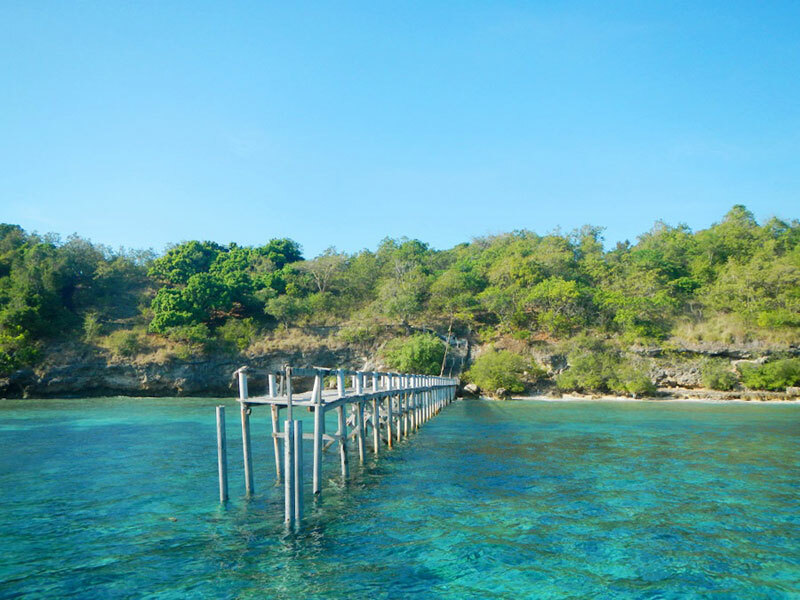 To get to the Pemuteran resort area, there is a public bus available from Ubung Terminal (15km from the airport) to the port town of Gilimanuk. From there, you have to catch a bemo the next 10 to 15km to the resort area. Much easier is negotiating with one of the private taxis, or organising transport with your resort. Expect to pay at least 600,000 IDR per vehicle for private transport from the airport/Kuta. 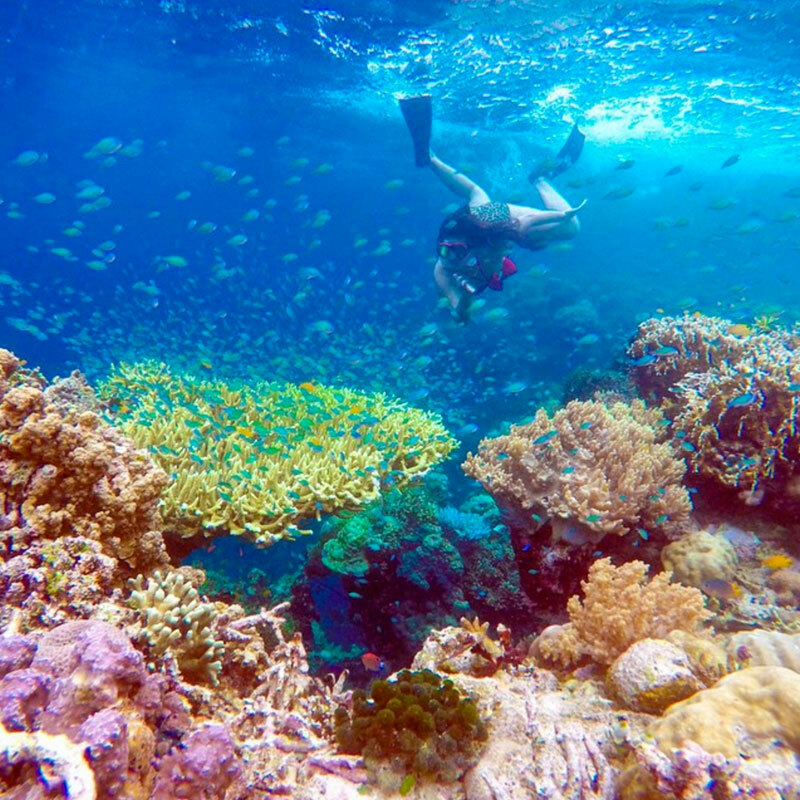 The second ‘coral garden’ on our list, this one is located on the north-western coast of Menjangan and is probably the best snorkel spot on the island for beginners as well as more experienced underwater explorers. While the many tiny fish and crustaceans that flit around the reef can keep you distracted for hours, keep an eye out into the blue, as sometimes larger fish cruise past the outer edge of the reef, including reef sharks, tuna, eagle rays and stingrays. 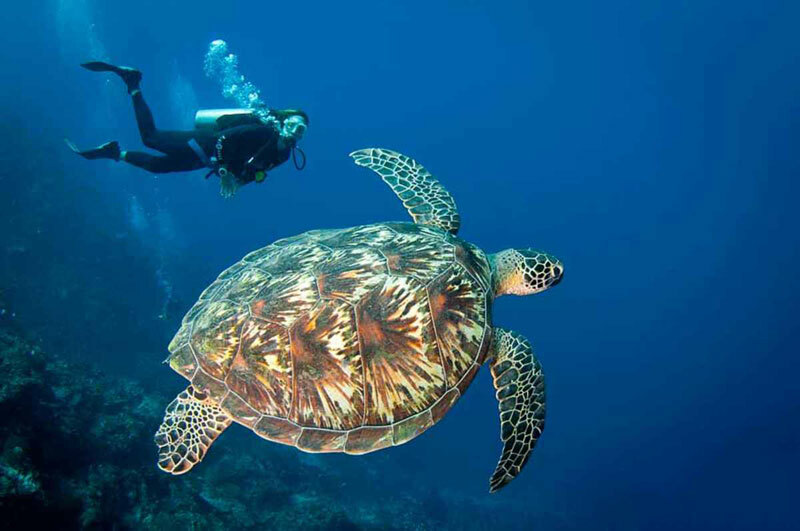 Menjangan is also reputed to be the best place in Bali to swim with sea turtles. So if swimming with wild turtles is on your bucket list, it’s worth making the long trip out to Menjangan and asking the guides if any have been spotted lately. 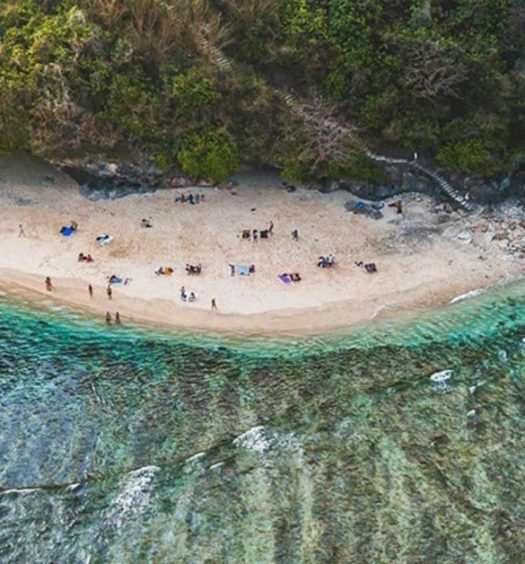 Getting There: Being an uninhabited island and part of the West Bali National Park conservation area, there’s nowhere to stay on Menjangan itself. 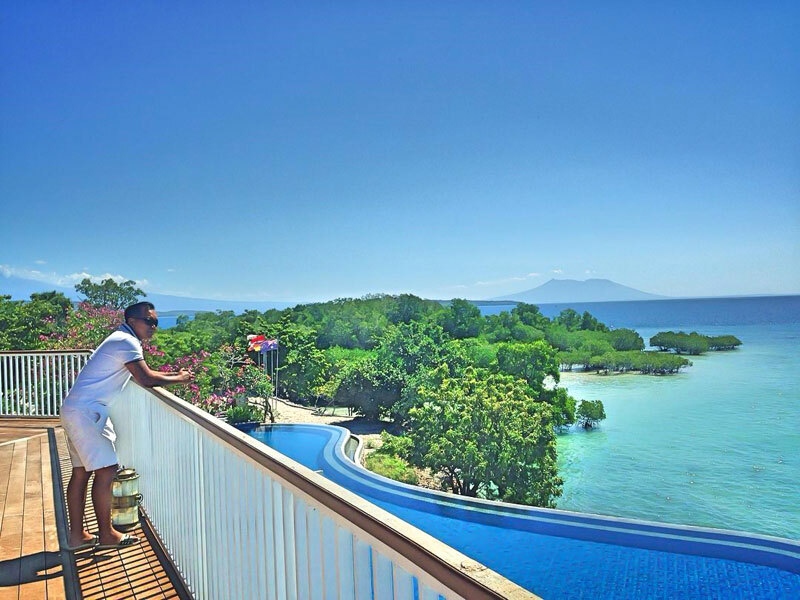 Mid-range and luxury resorts can be found on the northwestern coast of Bali near the West Bali National park and the Pemuteran area. Boats depart from Pemuteran each day for dive and snorkel tours to Menjangan. Hiring private transport or a shuttle bus is recommended. 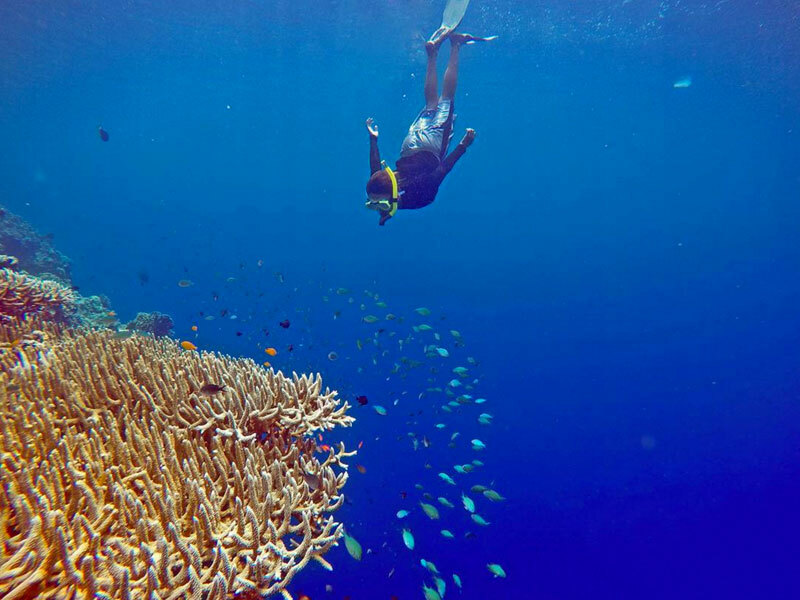 Recommended tour operators: A tour operator is a must for getting out to Menjangan and a snorkel guide is a good idea for less experienced snorkelers. Menjangan Diving and Blue Season come highly recommended. Reaching the snorkel site: The Coral Garden is very popular with snorkelers, and many of the local dive and tour boats run dedicated snorkel trips to the site. 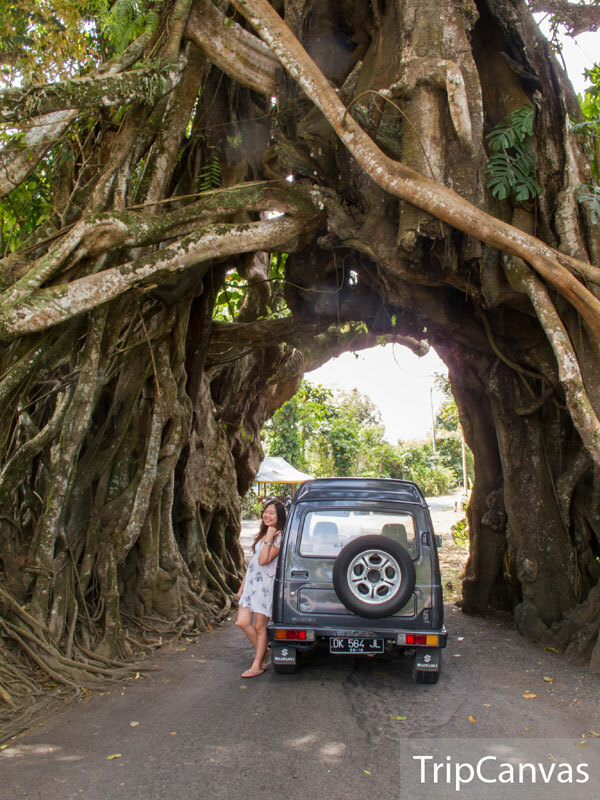 Have you travelled to West Bali before? We would love to hear about your adventures! Do leave a comment and share with us!